Welcome to the latest from the Wellness Council, our handpicked holistic health squad: a tightly curated group that gives the best advice this side of your own personal guru. One of the most important tools for living a life of vitality is knowing how to recharge your energy. We can easily get stuck in the mentality that we’re not accomplishing anything if we’re not overwhelmed and stressed—which is ironic, considering that being overwhelmed only slows us down by stealing our energy. One of my greatest tools for restoring my energy when I’m feeling overwhelmed is to bathe in warm light. I know this sounds heady, but it’s really powerful! Find a quiet space in your home or even in your office with the door locked. Lie down on the floor and envision a waterfall of light pouring over your body. Breathe deeply in and out of your nose. As you breathe, let yourself sink deeper into the floor. Keep envisioning the waterfall of light pouring over you as it calms, cleanses, and restores you. You might feel your body vibrate and tingle—this is just a sign that your energy is recalibrating. We are made up of atoms that are continuously giving off and absorbing light and energy, even while we sleep. Think of your body as a battery that can be recharged by positive energy. When we relax and center our energy, we begin to vibrate with the powerful forces that surround us. Take just one minute out of your day to tune in to these forces—and you’ll find that overwhelm melts away as your battery is recharged. 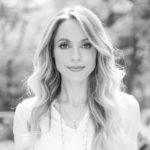 Gabrielle Bernstein is the best-selling author of Miracles Now, May Cause Miracles, Add More ~ing to Your Life, and Spirit Junkie. Gabrielle is also the founder of HerFuture.com, a social networking site for women to inspire, empower, and connect.